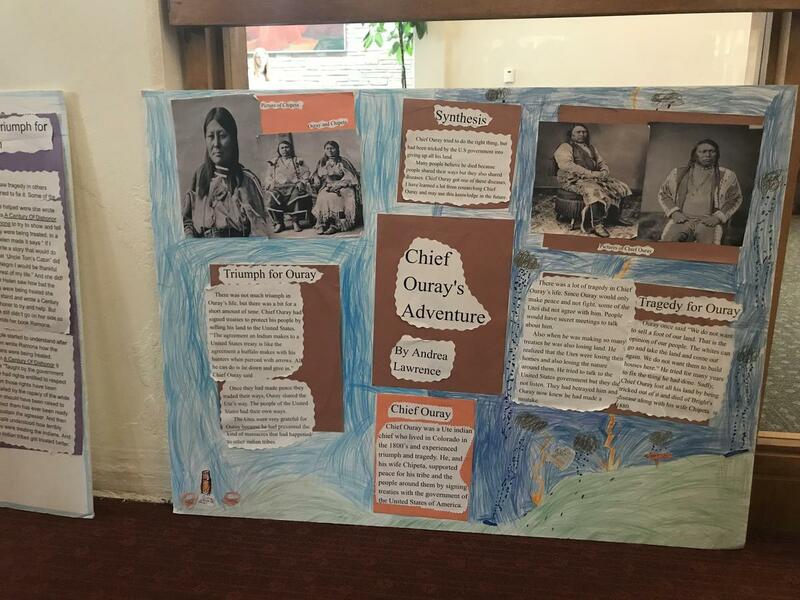 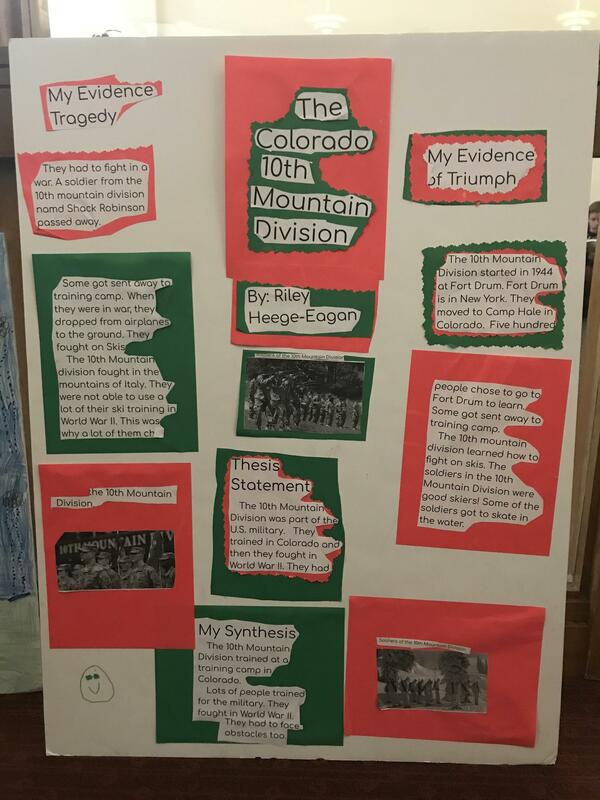 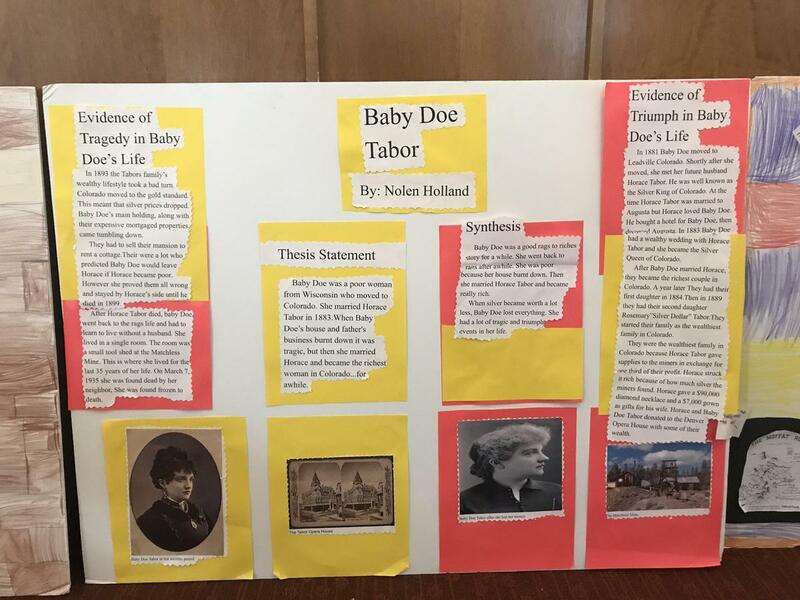 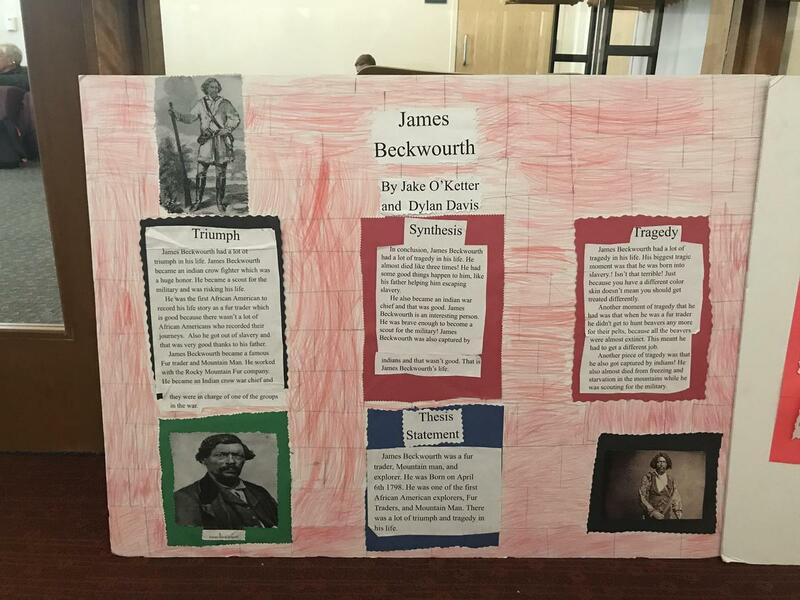 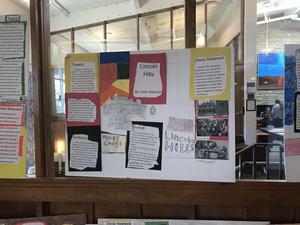 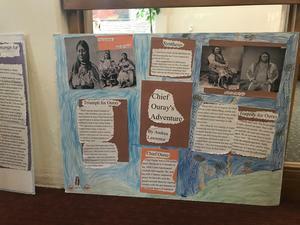 In collaboration with Colorado History Day, the project helped students in the methodology and process of research. Working within the theme of triumph and tragedy in Colorado history, students began with doing mini-research on three different options and then chose their main topics. 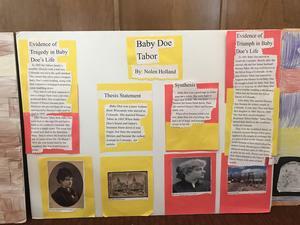 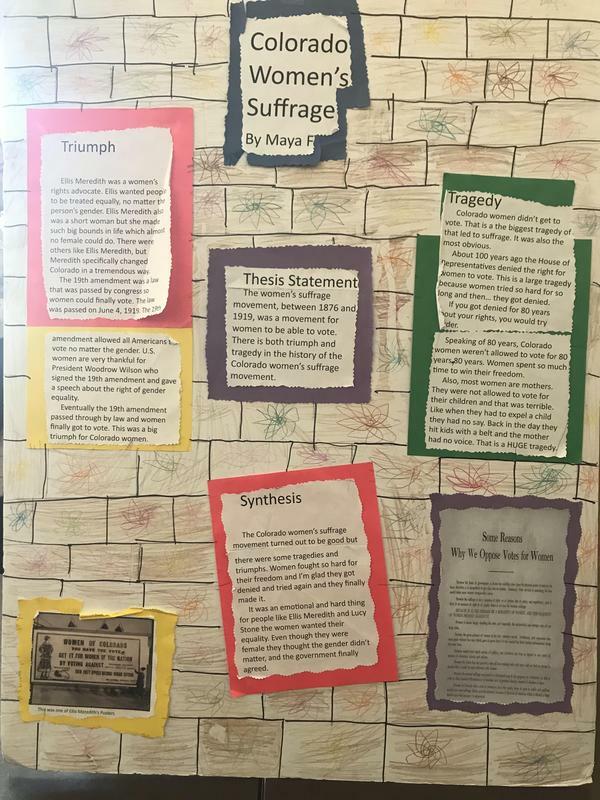 Through the project, students developed an understanding of reliable sources and the difference between primary and secondary sources. 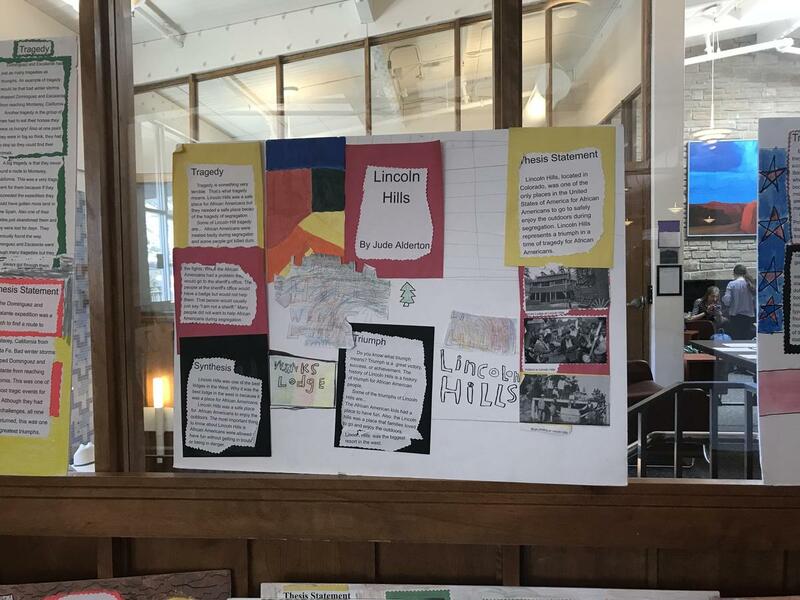 Just like their middle school counterparts who were competing at National History Day, the fourth-grade students gathered information, wrote thesis statements, organized information for their boards, and wrote a process paper discussing the process of their research and product creation. 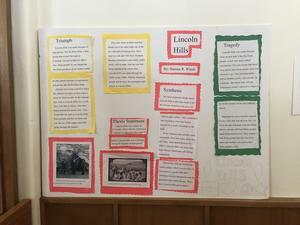 Their projects will be displayed at the History Colorado Center in Denver on August 1st in celebration of Colorado Day.